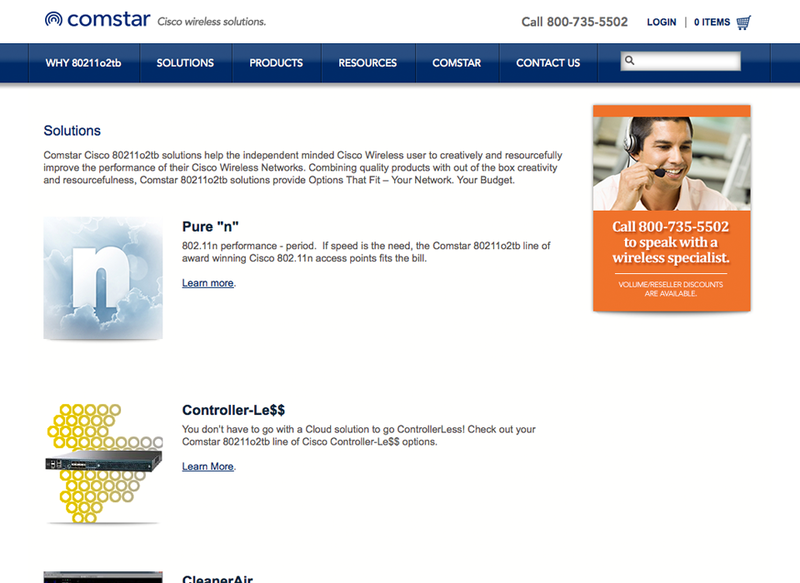 Comstar is one of the largest Cisco solution providers in the region. 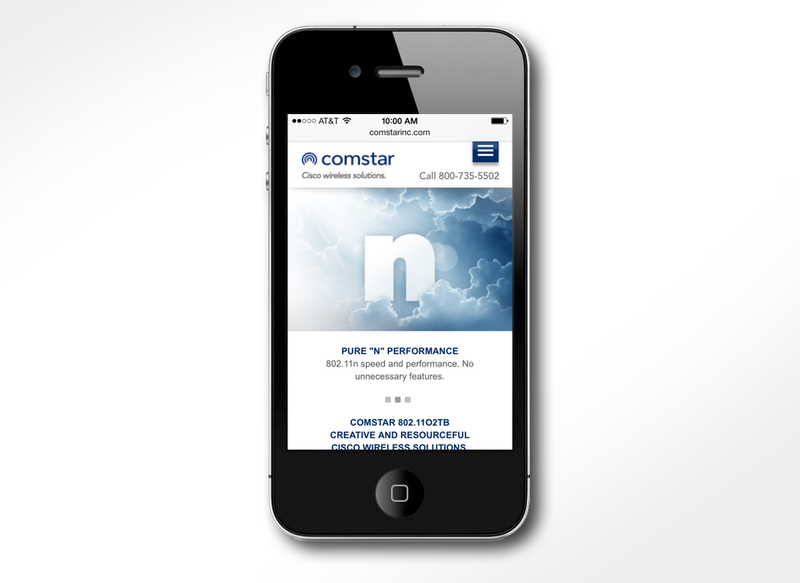 When Comstar approached us they had an outdated website, and they wanted to refresh their brand identity, redesign the website, and put it on an ecommerce platform. 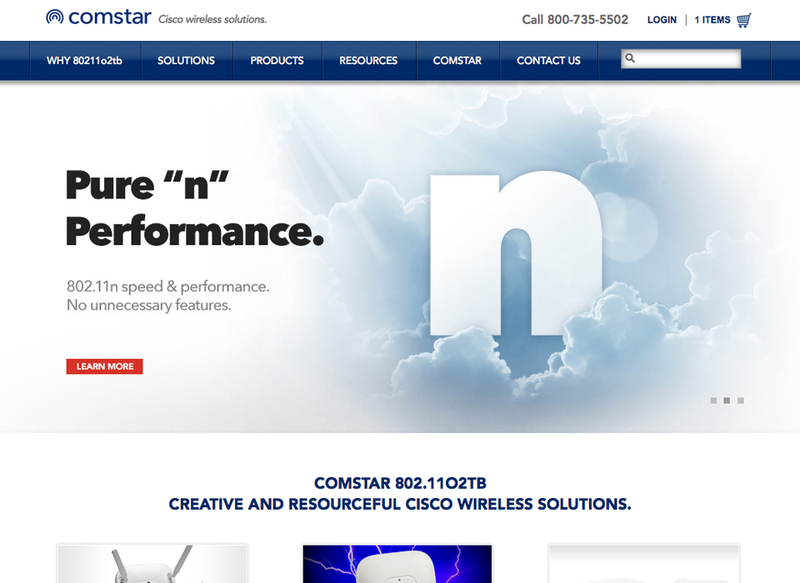 Prior to the website redesign, we redesigned the Comstar logo and gave it a look that was more in-line with the wireless industry. As part of our Discovery process, we explored various ecommerce systems and determined that Magento would be the best solution for their business. 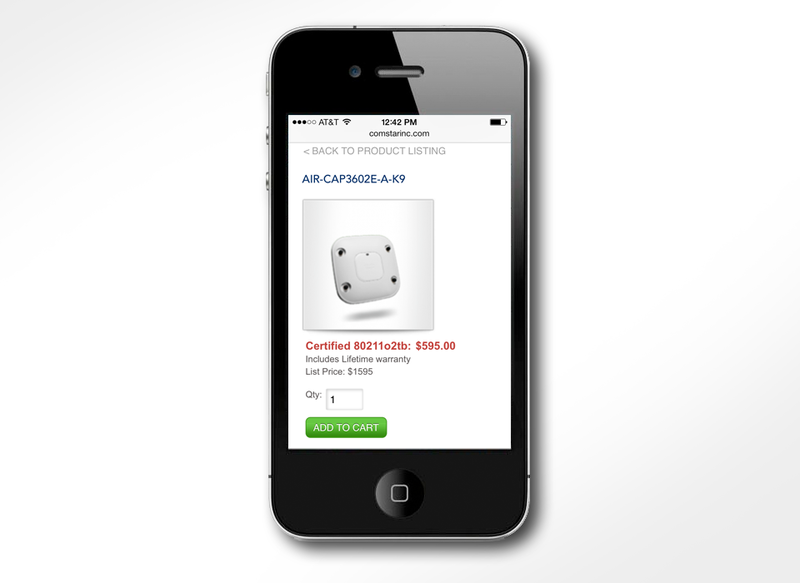 We also recommended creating a mobile version of the ecommerce site as well. 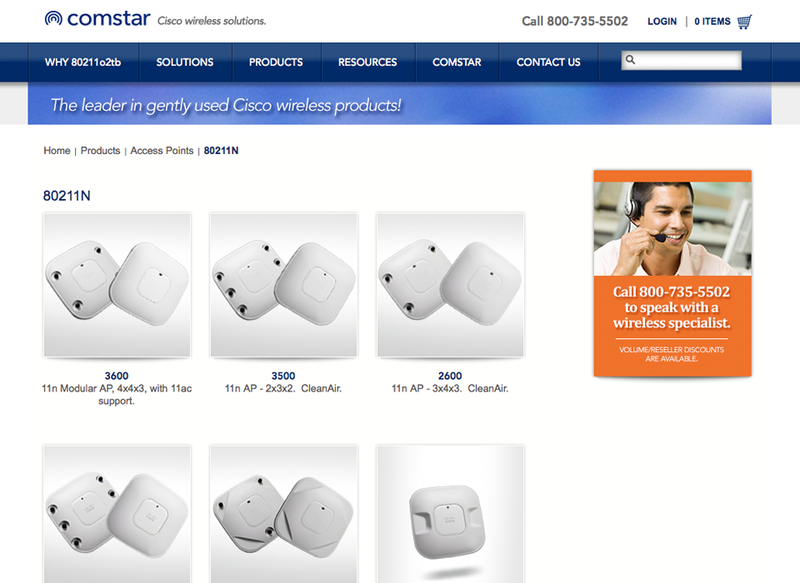 The new website has 3 rolling homepage feature messages that promote their products and drive purchase. 3 content buckets are also at the bottom of the homepage to feature various content areas in the site. 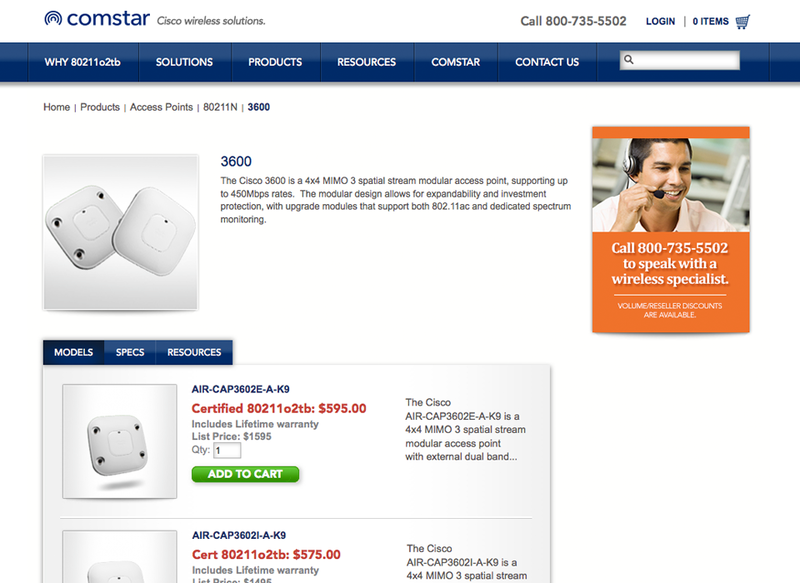 The homepage features and buckets are all content manageable through the Magento system. 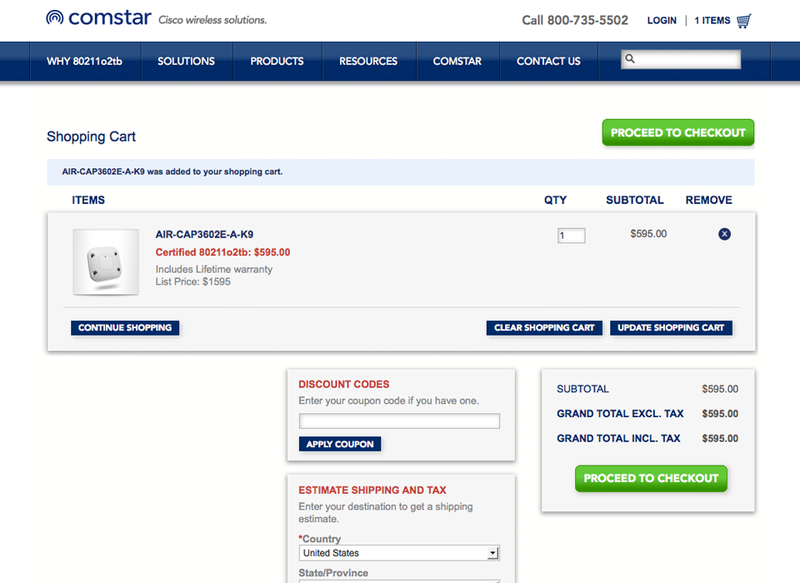 A product mega-nav enables users to drill into the product section quickly, and add a product to the shopping cart. 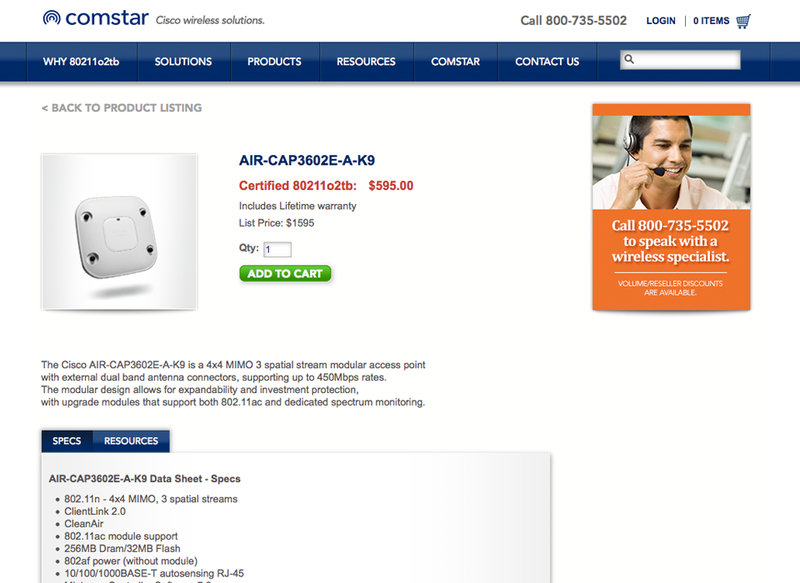 Banner ads are used to promote the customer service and featured products.